Oat, the 'Enduring Grain'. First grown in Western Europe, this hearty gem spread rapidly to other parts of the world. 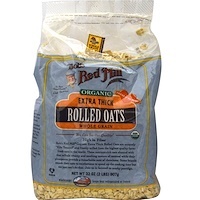 Delicious oats are a natural source of dietary fiber. 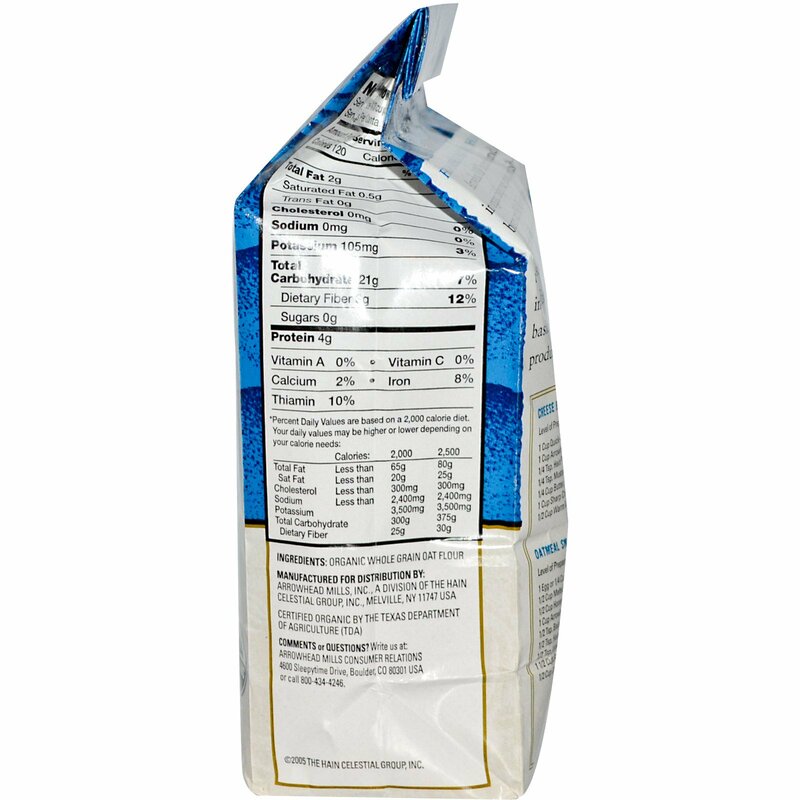 As a flour, it can be mixed with other flours derived from grains such as buckwheat or rice or corn meal to create baked goods with interesting flavors and textures. 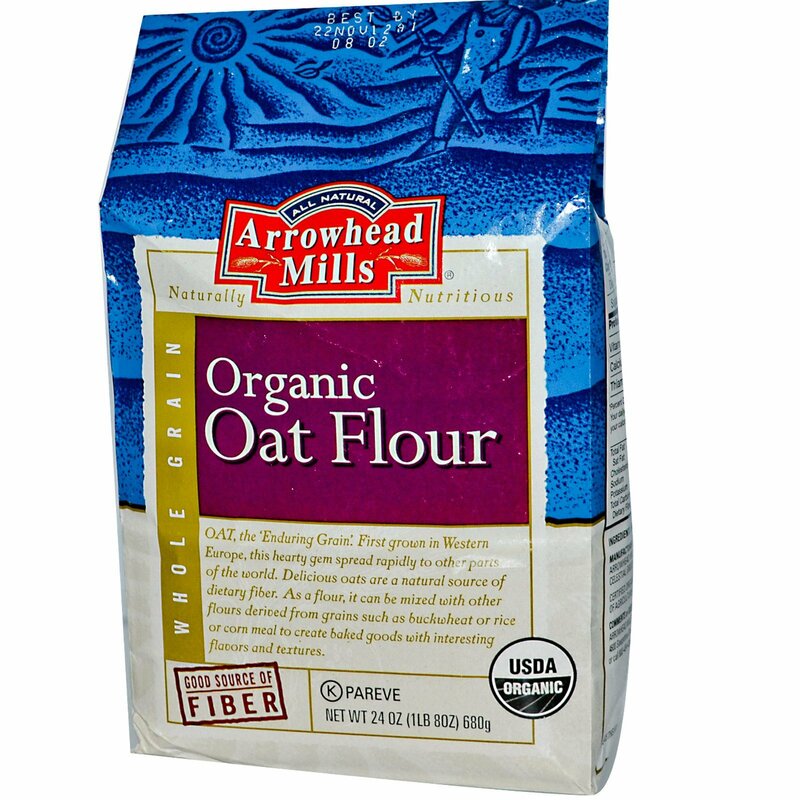 Arrowhead Mills has been the pioneer and leader in organic baking mixes, grains, cereals and nut butters since 1960. We believe in nature's abundance and treat food with respect—not chemicals! Capturing the essence of the earth with organically grown ingredients, Arrowhead Mills takes you back to the basics with the best-tasting, most diverse selection of products for home-baked goodness. Stir together oats, flour, salt, and mustard powder. Cut in butter with a fork, then stir in cheese. Add water and mix, kneading when dough becomes too stiff to stir. Divide dough into 2 parts and roll into circles, 1/4" thick. Cut each circle into 4 wedges (or farls) and bake on a lightly greased baking sheet at 400°F for 20 minutes. Organic whole grain oat flour.